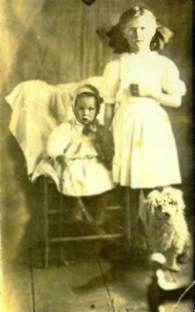 Lucille, standing, with her younger brother Clarence. Joe and Lucille (Vanderheiden) Neeley. Lucille is the daughter of Andrew Jonas. 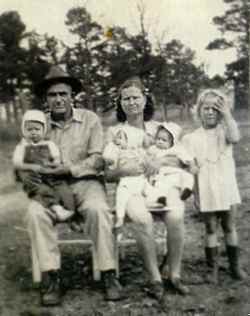 James Lee, Judy Faye, and Donnie Ray Summerlin. was a son of Eller Vanderheiden. Eller was Lucille's sister.